WAM have announced that they will be bringing the Girls Rock! Camp program to Perth in January 2019. The camp will take place from Monday, January 14 until Saturday, January 19 and will be spearheaded by local musician and teacher Em Burrows. Girls Rock! is a week-long day camp that aims to empower young female, trans, and gender diverse people through music and education. 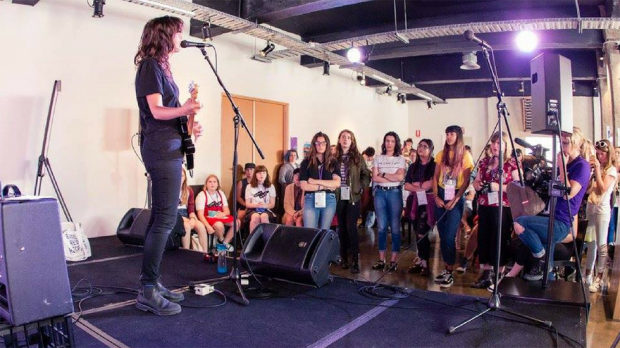 Over the course of the week campers will hone skills on their instrument of choice (guitar, bass, drums or vocals), join a band with other campers, write a song together, and then perform at a Girls Rock! showcase on the Saturday. Daily creative and empowering workshops as well as lunchtime performances by local musicians will also be included in the program. Girls Rock! tackles the issue of gender imbalance in the music industry with a focus on the key areas of creativity, positivity, community and empowerment. Find out more information about the inaugural Girls Rock! Camp in Perth and register your interest in the program HERE.